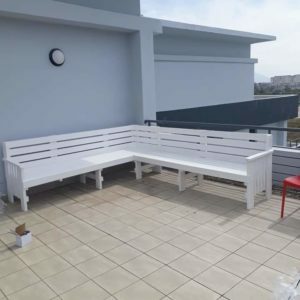 Benches included. 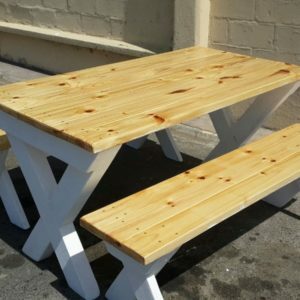 SABS approved treated South African Pine wood. Indoor Use. 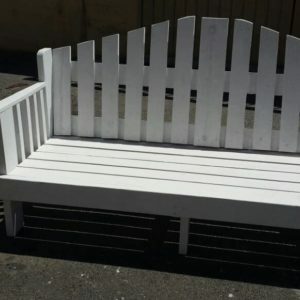 For use outdoor please consider this design. 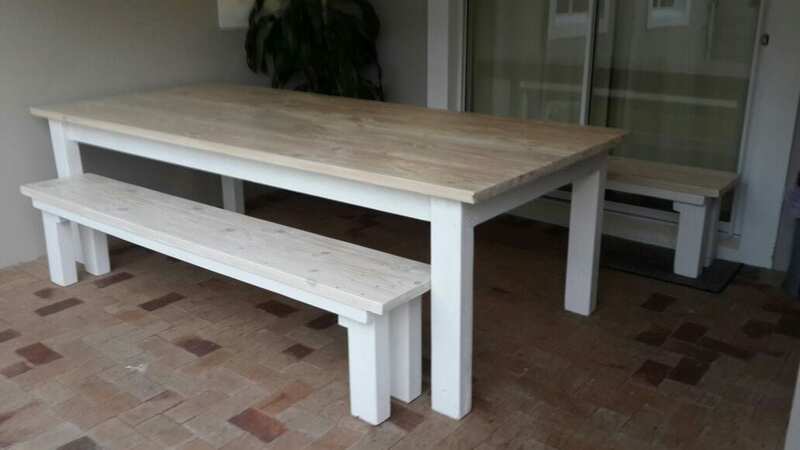 The table and benches are designed with narrow gaps to allow water to run off. 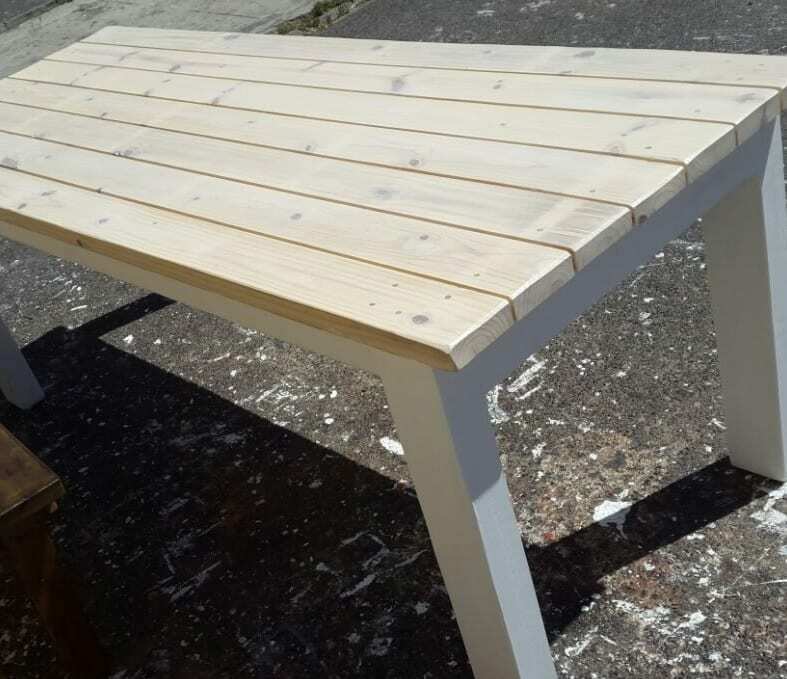 We can finish in any colour or combination, please get in touch. 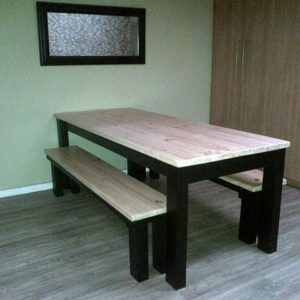 Your selection: We begin manufacturing once you place your order, it takes approximately 5 days to complete the furniture. Woodoc Stain Concentrates are formulated to be added to the Woodoc Sealer of choice ensuring easy and controlled application. 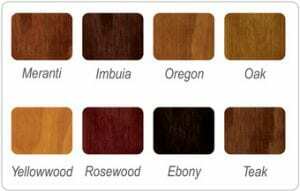 Available in eight classic wood colours that enhance the appearance of all woodwork. Please select colour when ordering. 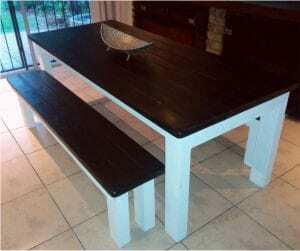 Note: Because the natural colour and absorbency of wood differ, Woodoc Stain Concentrates can vary on application. For more information regarding stains please follow link to woodoc stains. 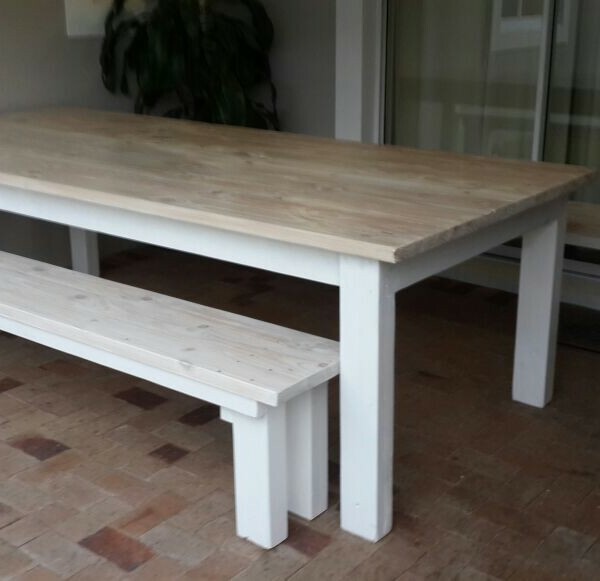 Merensky produces a wide variety of Pine lumber grades for use in both industrial and structural applications. All structural lumber is graded in accordance with SANS standards. 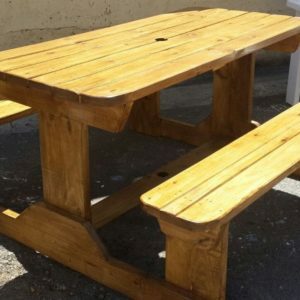 Merensky Pine products are FSC® certified. FSC® certification is intended to provide a credible guarantee to customers, whether business, government or end consumer, that products sold with a specified FSC® certificate originate from well-managed forests, controlled sources, reclaimed materials, or a mixture of these. 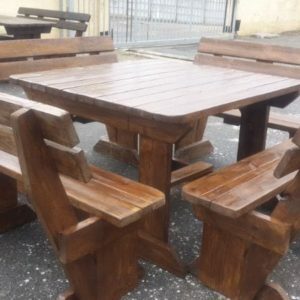 We manufacture a selection of garden furniture, patio furniture and outdoor furniture such as walk in benches, wooden benches, picnic benches, garden benches,patio furniture and table bench sets with high quality standards.